Hi guys, today we've made some yummy fruity shower gels! we'll be sharing them one by one. Of course la, have to take nice pictures first right? 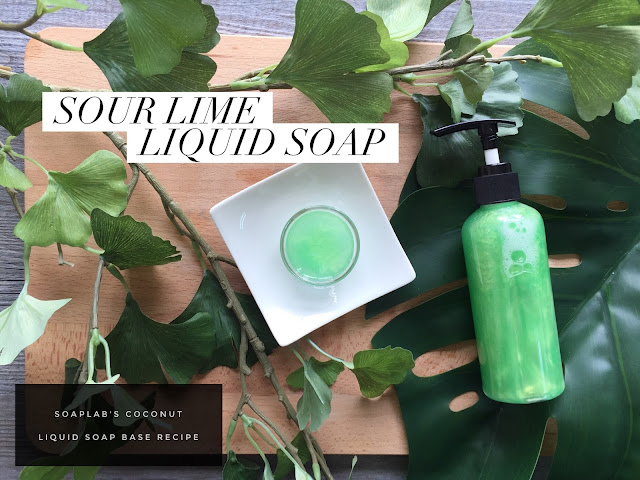 For our first shower gel, we are starting with SoapLab's liquid soap base. Thats it, nothing complicated. Because for these few shower gels, we wanted to do something super simple and easy to make ourselves at home without thinking about so many ingredients. Next for some nourishment, we use pure aloe vera extract for moisturising your skin. Remember guys, moisturising is a very important step for your skin and not only for after your showers. Its always better if you can do it during and after too. Next we use frozen margarita fragrance oil so that you'll feel like you are on a beach vacation after showering! Thank you for the recipes. Been looking for this and its so easy to make. I have super dry skin and off the shelf liquid soap always leave me feeling like a wrinkled prune. Tq Nisha.